Diese makellose, fünfte Etage, 2-Schlafzimmer-Luxus-Eigentumswohnung verfügt über Wohnzimmer und Schlafzimmer-Eingangstüren zu einem großen Balkon mit Blick auf den Golf von Mexiko. Die Madeira Norte Anlage befindet sich auf den weißen Zucker Sandstrand von Madeira Beach an Floridas Suncoast Zentrale Golf auf den vorgelagerten Inseln zwischen St. entfernt Pete Beach und Clearwater Beach. Die Madeira Norte befindet sich direkt gegenüber vom Johns Pass Village und Boardwalk. Dies ist ein Great Family Vacation Bereich, um den Golf Waters, beheizter Pool, wunderschöne Sonnenuntergänge zu genießen, Spaziergänge am Strand, Schälen, Schwimmen, Fischen, Bootfahren, Tauchen, Parasailing und Jetski mieten und mehr. Nice view off side unit. Can’t beat the location directly across from Johns Pass where you can walk to numerous restaurants and shops. Viewed dolphins from the balcony. Pool is heated. Unit is spacious and comfortable. I knew the unit had a few older features when I booked it and feel I got a good value for the price point. If kitchen cabinets were updated the price would be higher so not necessarily a good thing to any ney sayers. Would recommend a mattress topper in master as bed is really hard. And umbrella was missing so we had to rent one for the beach. All in all it’s a good value and would stay here again. My five stars is based on price point and value. For those who want a brand new unit then look at higher prices or a lesser location. This place is a great location, right on the beach. You can easily walk across the street to many restaurants and shops. The beach is beautiful. The condo itself needs a lot of updating but it was sufficient to accommodate our family. We did have to go to the store to buy some basic items that we assumed would be provided in the condo, a dish brush, dishwasher detergent and laundry detergent. (especially odd considering we were asked to have the towels washed when we left.) The owner was responsive when I contacted them about the WiFi not working. They got it working by day 2. Overall, it was a pretty good value since the view from the balcony was beautiful, and it was super convenient to get to the beach. Elizabeth, I’m so sorry that the unit did not reach your expectations, I’ve been renting for many years & never had any complaints. The issue with the internet was a problem with bright house netwaork. I received messages from you daily & notified you that I was having it taken care of. When renting a condo laundry soap is not something that is not expected to be supplied, but every time I’ve been there I find some left from the last visitor. My cleaning crew is usually good about making sure there is a new sponge, dish liquid, dishwasher tabs & toilet paper to get you though the first day until you can get to the store. I’m sorry that you felt this was a “no frills” condo on the beach, but it is a Beach Rental. I wish you had mentioned some of the other issues you were having in one of your daily messages you had sent, I would have definitely had someone bring you the items you needed. Again I’m sorry you were not happy. This beautiful condo had it all!! From the location to the view to the nightlife and shopping, it was all right there! It was very well stocked and the owners were great to work with. We had a great time!! Hope to get back in October and be able to stay here again. My husband and I needed a getaway and we found the perfect place! 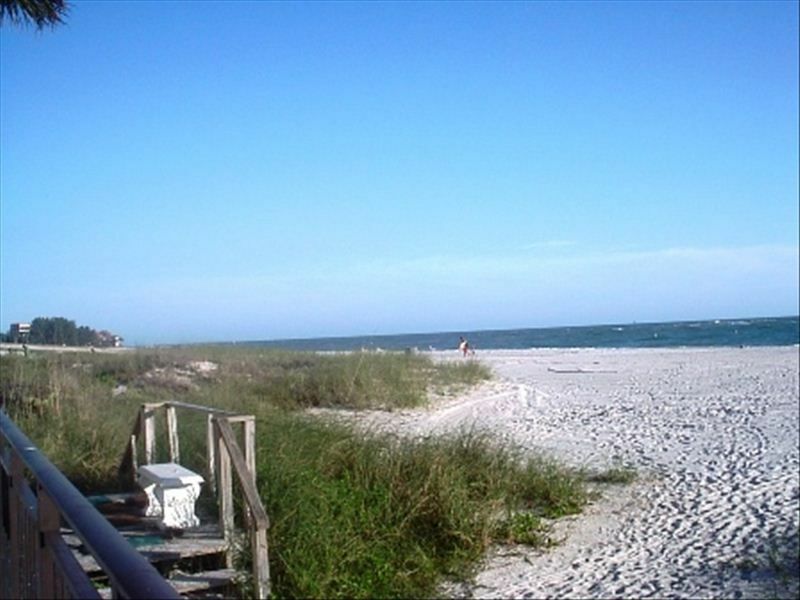 The views of the gulf are spectacular as well as John's Pass channel! The house was immaculate and completely stocked. We had a wonderful time, and hope to come again. It's was our fourth trip to Madeira Beach with our family. The area has so much to offer whether you are a shopper, foodie, golfer, nature lover....the list goes on. We have visited family in other units at Madeira Norte before, but Bob & Susan's definitely had everything we needed, plus a morning sunrise that would make you look forward to anything the day threw at you. The condo is everything you see in the pictures aside from an updated master bedroom. There was plenty of closet and storage space and it came fully equipped with all the essentials of home. It was clean, comfortable and very inviting. The decor was beach themed and relaxing. Being on the fifth floor, our view was un-obstructed by the building next door, so we had a bird's eye view of the beach an John's Pass. We spent alot of time on the huge balconey with our binoculars watching the dolphins inthe intracoastal waterway. The only down-side was the broken elevator at the back of the building....but we did get our exercise on those stairs! The weather wasn't as great this year. During our two week stay, we had three days of temps that actually got up to 70. We took advantage and spent a lot of time touring the area and visiting some of our favourite spots. Of course, John's Pass always has something going on so we were there a lot. We try to do most of our meals at home, but we always have to visit a couple of great restaurants when we are there. Highly recommended are, The Blue Parrot..on Sunday mornings only, you'll never have a breakfast like it anywhere...and inexpensive, Ted Peter's Smoked Fish Restaurant ans Cajun Cafe on the Bayou. If you want something within walking distance, Hooters and the Bamboo Beer Garden are great for munchies and drink specials. We would love to come back and stay in your condo again, if it's available. We have both agreed that regardless of the weather, this was our best family vacation! My family had a wonderful time on vacation. The condo is soo beautiful and looks just like the pictures. Everything went so smooth & easy working with the owners.